The court ruling yesterday in NIAC’s lawsuit against Seyyed Hassan Daieoleslam granted NIAC victory on its central demand, while falling short on other objectives. NIAC brought the lawsuit against Daieoleslam in 2008 in response to his slander and defamation against the organization and its co-founder, Trita Parsi. Our objective with the lawsuit was two-fold. First, to challenge Daieoleslam’s false accusations that NIAC lobbied for the Iranian government in court and force the defendant to prove his case or concede. On this crucial issue, NIAC prevailed. Once in front of the court, Daieoleslam had the opportunity to make his case for the truth. Instead, he changed his tune and did not seek to argue that his accusations were correct and truthful. Instead he essentially abandoned the truth and instead argued that NIAC could not prove that he knew what he was saying was false, i,e malicious. By that, he conceded this very essential point and is on notice that what he is saying is false and therefore would be acting with malice if he continues to make the same false, baseless and defamatory allegations. The defendant’s shift is understandable mindful of the fact that after reviewing thousands of NIAC emails and documents, he could not point to a single shred of evidence indicating that NIAC served as a lobby for the repressive government in Iran. The second objective with the lawsuit was to change the nature of the political culture in the Iranian-American community, away from the slander, defamation and character assassination campaigns favored by some, and towards a more open and truthful discourse. Our hope was that by challenging the maliciousness and defamation, the culture would shift in a democratic direction. On this point, our efforts fell short. The standard was for us to prove that Daieoleslam acted with malice, that is, not just that he was not speaking the truth, but that he knew he wasn’t speaking the truth. While we believe the evidence clearly showed that Daieoleslam knew he was lying, based on his systematic disregard for truth, neglect of readily available information that contradicted his conspiracy theories, declaration that he aimed to “destroy NIAC” in order to “bring down Obama,” as well as his support for the Mujahedin-e Khalq terrorist organization, the Judge felt this didn’t meet his standard and denied us the opportunity to take Daieoleslam in front of a jury and help democratize the political culture in the Iranian-American community. While we regret that such a milestone could not be achieved for the Iranian-American community, we are content that in the court of law he could not and did not defend his false accusations. In regards to cost-sharing of the expense of the discovery, we disagree with the court’s ruling and retain the option to challenge and appeal the decision. These past four years have been challenging and burdensome. NIAC is a small organization, with a small budget and a small legal team. Our only card was that we knew – and we proved – that truth was on our side. Daieoleslam, on the other hand, had the support of a broad network of well-funded pro-war figures. He was represented by Sidley Austin, one of the largest law firms in the world and the main counsel on his legal team was President George W. Bush’s lawyer in the White House. But precisely because he didn’t have truth on his side, Daieoleslam tried to shift the focus of the court away from the central charge and instead overwhelm NIAC with legal expenses by filing an endless stream of motions. The order of the judge also puts Daieoleslam on notice. While he claimed not to have known that what he was writing was false, he no longer can hide behind that excuse going forward. He is on notice and will pay the consequences of further defamation. In the past ten years, NIAC has helped transform the Iranian-American community from being politically apathetic and vulnerable to becoming dynamic and in ownership of their own destiny. We have helped the community stand up against the voices of war, stand up for their rights in face of discrimination, and stand up for the values that make America strong. NIAC will continue to serve the interest of the Iranian-American community, particularly at this moment when the risk of war is increasing, repression in Iran is intensifying and the suffering of the Iranian people is reaching intolerable levels. The recent terrorist attacks in Norway gave the world a glimpse of what happens when violent fanatics take the fore and moderates are sidelined. To paraphrase Edmund Burke, the silence of good men is all it takes for evil to triumph. Today, we in the United States face our own Norwegian moment as a massive lobbying campaign is underway to remove the Mujahedin-e Khalq (MEK) from the list of Foreign Terrorist Organizations. How we respond to this test will be a defining moment for American democracy and the rejection of fanaticism in our midst. To provide a little background, the MEK is an Islamic organization that was put on the list of Foreign Terrorist Organizations (FTO) since the establishment of the list in 1997. 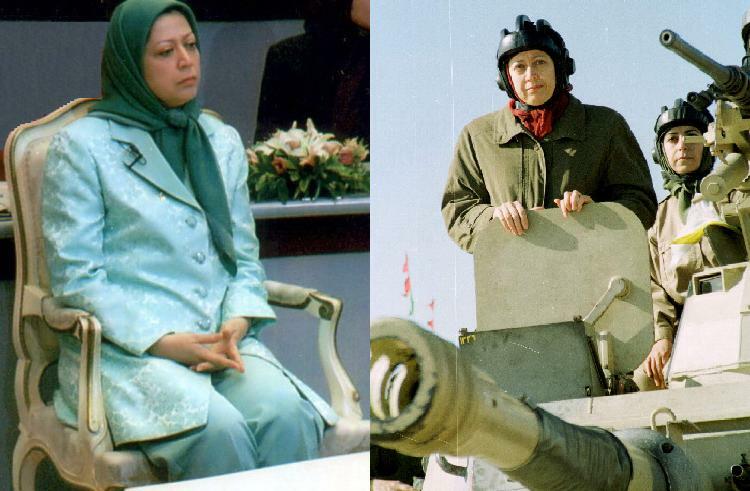 Born on a profoundly anti-American platform, the MEK has murdered Americans and is considered by Human Rights Watch to be an anti-democratic cult. After joining Saddam in his war against Iran in what Iranians almost universally regard as an act of treason, the group lost virtually all popular support. Based in France today, the group is well aware of its lack of support among Iranians. 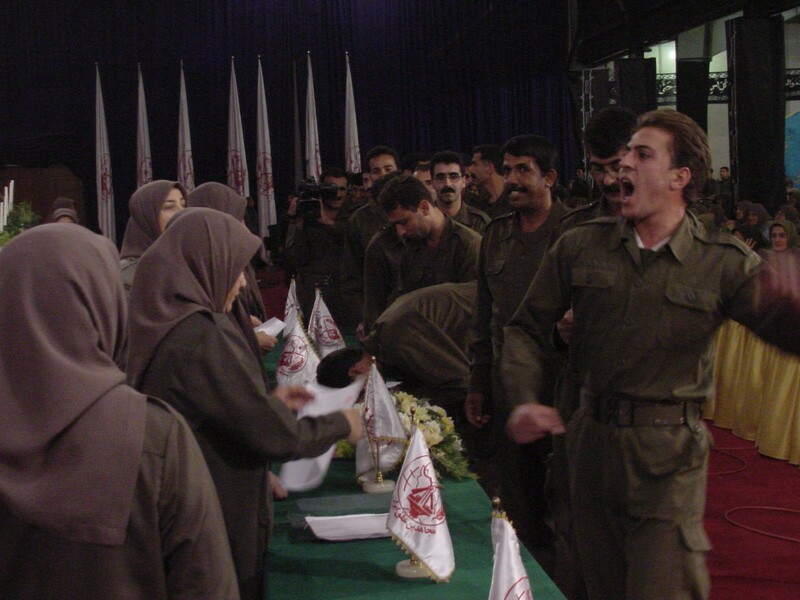 Because of its lack of support, the MEK has implemented a policy of putting forth front organizations and individuals who do not openly claim to be part of the organization, but push the group's agenda while simultaneously attacking all other opposition. The term used in France to describe these "fellow travelers" is compagnon de route. These people in effect share the agenda of the MEK and answer only to the cult's leadership, while freeing themselves of the burden of responding to criticism of the group. In attempting to retain its place in the opposition, the MEK has employed these individuals as attack-dogs to destroy everyone else. One obvious example is the case of the former Paris perfume merchant convicted of selling stolen perfume. Seyyed Hassan Daioleslam -- who dropped the Seyyed and the Eslam from his name to appeal to the anti-Arab sentiments held by his neoconservative backers -- has spearheaded much of the MEK's attacks in recent years. He denies any ties with the MEK. 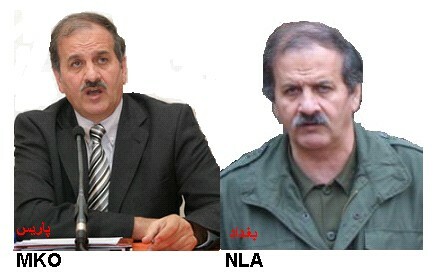 But former members of the MEK and other former associates of Daioleslam dispute that claim. I can say without doubt that Hassan Daioleslam is a member of what I call for accuracy 'the Rajavi cult' [referring to MEK leaders Massoud and Maryam Rajavi]. In this respect he is obedient to the Rajavi leadership and would not act in a way inconsistent with their requirements and certainly not without their knowledge or consent (if not to say actual order). The term 'membership' describes his relationship to the Rajavis. The MEK, just like Al Qaida, does not have 'membership cards'. But I doubt very much the MEK would deny that he is a member, just as they never have denied that Alireza Jafarzadeh is a member. Daioleslam's writings are on the MEK websites. They do not publish just anyone's writing. Only those obeying organizational constraints. Hassan Daioleslam, who is also considered as a member of the Mojahedin Khalq Organisation (Rajavi Cult) had been under harsh criticism for a long time by the cult leader Massoud Rajavi because he would not leave the USA and join the cult under the rule of Saddam Hussein in Iraq. But now, in the new circumstances in which the remnants of the Rajavi cult after the fall of Saddam Hussein find themselves in western countries, Hassan's social position and his ability to speak English has grabbed the attention of Rajavi. He seems to be next in line to be consumed [for the group's interests]. Was living in Europe for several years until he moved to the United States in Phoenix, Arizona. He was re-bought by MEK one more time and he is now active in selling and defending the positions of this terrorist organization. The attacks are not just aimed at destroying all other opposition to the Islamic Republic, but crucially to undermine any policy short of violent confrontation with Tehran. Hassan Dai, as he now introduces himself, has hysterically gone after much respected academics like Ray Takeyh of the Council on Foreign Relations. As one of the leading Iran experts in the United States, Takeyh has provided serious and sober analysis of the MEK and its countless violations of human rights. For this he has been viciously attacked and referred to as an "appeaser." And of course there is the group that has become the primary target of Dai's attacks, the National Iranian American Council (NIAC). The motive behind those attacks has been no different. NIAC in many ways has become the Iranian-American equivalent of J-Street. Both J-Street and NIAC have caused panic among established groups in their respective communities because they give voice to a moderate middle who never felt at home with their community's far-right traditional organizations. In an email obtained through NIAC's lawsuit against Daioleslam, he writes to neo-conservative operative Kenneth Timmerman that "I strongly believe that Trita Parsi is the weakest part of the Iranian web..." Daioleslam goes on to say that "I believe that destroying him will be the start of attacking the whole web. This is an integral part of any attack on Clinton or Obama." Clearly it is not just the position of the MEK that Daioleslam feels threatened, but more importantly a pro-war policy that would give them the opportunity to replace one dictatorship with another. Not surprisingly, Daioleslam is in favor of delisting the MEK from the list of Foreign Terrorist Organizations. In another private email that was recently made public as part of the lawsuit against him, Daioleslam states that the MEK should be "included in a general support of Iranian opposition as a whole" and "it has been a great mistake to discard them." Even lower on the totem pole is an individual named Safar Gerabagi, known to some as "Dr. Arash Irandoost." His organization, the Pro-Democracy Movement of Iran (PDMI) features portraits of brutal dictators prominently on its website, while the irony seems to be lost on him. The so-called "movement" does not appear to have any members other than himself. Predictably, on the blog of the self-declared "next most outspoken Iranian" the MEK are referred to as Iran's "main opposition." When I contacted him to present a list of his group's accomplishments, he repeatedly declined to present even one. By taking out of context a quote here and there and radically reinterpreting it, Daioleslam and the MEK have been able to convince a tier of the Iranian-American community that speaks little to no English that Ray Takeyh, Vali Nasr, NIAC and others are the representatives of the Islamic Republic in Washington. Of course, being unable to read the original English documents that Daioleslam relies on to make his claims, they have been forced to take at face value his wildly off-the-mark interpretations. These accusations against the MEK's perceived enemies have been thrown around so casually on Persian satellite television that to many they now appear as fact. The MEK's battle however is a losing one. With a median age of over 60, the MEK is becoming increasingly less effective in the Iranian Diaspora's political arena. Partly due to changing demographics, the new younger opposition has been able to show a boldness and confidence that has been unprecedented in the community. Whereas until recently Iranian-Americans in positions of influence were afraid to be too critical of the MEK, groups like NIAC are today openly taking the fight to them in an environment where ideas are more powerful than brute force. The challenge for the Iranian-American community is in how it reacts to this new reality. As the community finds its voice and the stance of the traditional establishment comes to reflect an ever decreasing portion of the community, Iranian-Americans sitting on the fence will have to decide whether to maintain the failed status quo, or bravely and openly make the voices of the moderate middle heard. Ultimately, empowering the MEK and giving more room to extremists would not just be a gift to the Iranian regime, but a lifeline. The Islamic Republic would love nothing more than to crush and destroy the opposition, and the MEK has been tirelessly working to do this to posit itself as the only opposition. It is not true that the enemy of our enemy is always our friend. In this case, there is more than one enemy. However, its militant anti-Iranian stance has made it a favorite of hawks in Washington. Several of them — most notably Tom Tancredo (R-CO) — participated in a 2005 Washington conference in support of the group. The same year also saw the founding of the pro-MEK Iran Policy Committee, headed by Raymond Tanter of the Washington Institute for Near East Policy (WINEP). The MEK’s neoconservative supporters continue to push for it to be taken off the State Department terror list, which it has been on since 1997. 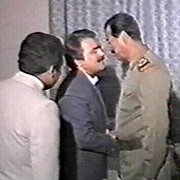 One of the many ironies about the MEK is that, for all the groundless allegations that hawks made about Saddam Hussein’s connections to terrorist groups during the runup to the Iraq war, the terrorist group with perhaps the closest links to Saddam was one that the hawks themselves supported. NIAC has provided tens of thousands of documents and all its financial records in order to prosecute a defamation case against Hassan Dai. Those documents prove the allegations made against NIAC are completely false. The judge denied Dai’s motion to dismiss the case on 18 out of 19 counts. Realizing this, the defendants have decided to maliciously leak those documents to a reporter at the Washington Times, Eli Lake, in an attempt to litigate the case in the media rather than in a court of law. In the usually wonky world of non-profit issue-advocacy organizations, a decidedly political campaign has been waged against foreign policy institutions that promote diplomacy over militarism. Two relatively new organizations -- each covering distinctly opposite ends on the spectrum of Middle Eastern affairs -- have been the target of withering public relations attacks in recent weeks and months. The National Iranian American Council (NIAC), an organization that promotes diplomatic engagement between the U.S. and Iran, sprung to prominence recently for its active media presence in the aftermath of Iran's disputed elections though its influence in the nation's capital had been felt long before then. But as NIAC's voice grew louder in foreign policy circles, so too did the vehemence of its critics. Starting in 2007, NIAC was accused of, among other things, being an arm of the Iranian government, receiving funds from Iranian nationals, breaking lobbying regulations and acting to subvert U.S. foreign policy. The charges were dishonest at best and defamatory at worst. NIAC provided evidence to the Huffington Post of many instances in which it was critical of the Iranian regime. Its president Trita Parsi noted that the families of several board members have been tortured in their home country. Moreover, the good-government group Citizens For Responsibility and Ethics in Washington could not immediately recall ever looking into NIAC's lobbying activities for evidence of illegality. "I think the charges are absolutely baseless," said Steve Clemons, a bipartisan highly-respected foreign policy voice in the D.C. community and fellow at the New America Foundation. "I know Trita and I know many of the people involved in the organization... They are transparent and upfront. They take on their critics in public forums. That is what you are supposed to do in the think tank business... They have a perspective but it is done above board. I've also seen him say things that in no way would thrill the Iranian government." But the campaign against NIAC persisted in the past few months and years. In particular, one of the group's sharpest critics, Hassan Daioleslam, an Arizona-based freelance writer with an audience in Persian media, has been given plenty of column inches by neo-conservative outlets to whack both NIAC and Parsi. Writing in Front Page Magazine, Daioleslam accused the organization of being "part of an extensive U.S. lobbying web that objectively furthers the interests of the Islamic Republic of Iran." He published another piece, in the same magazine, accusing Parsi of being "The Mullahs' Voice" in America. And in January 2009, he wrote in a more obscure publication that: "Parsi is also suspected of lobbying for the Iranian regime." Finally, when Iran was in the early throes of its post-election chaos, Daioleslam all but accused Parsi of rooting for Ayatollah Khamenei and the Ahmadinejad regime to retain power. "In the Iranian American community, unfortunately, these accusations are always flying around," Parsi told the Hufington Post. "The difference this time is that this one individual was able to use the help he was provided by neo conservative circles in town to spread so many lies and spread them as extensively as he has." What may be most remarkable about Daioleslam's latter writings, however, is not simply the boldness of the accusations. But rather that he authored such material despite having already been sued for defamation. 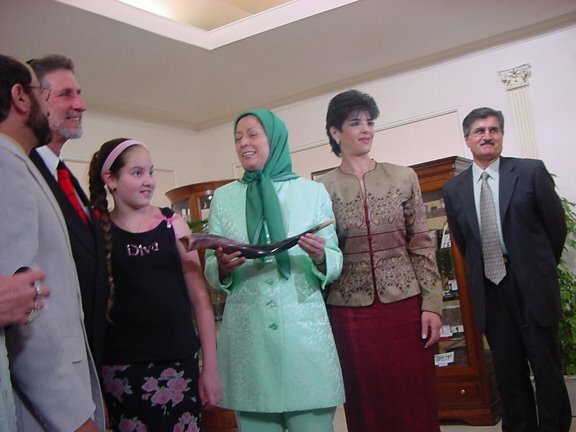 In April 2008, Parsi and NIAC brought a case to the U.S. District Court for the District of Columbia alleging that Daioleslam had "published numerous false and defamatory statements that characterize [them] as agents of the Iranian government." Less than eight months later the judge issued a response that (while requesting supplemental information) was not favorable to the defense. "The "defendant parses his statements too finely," the judgment read, when looking at Daoileslam's broad definition of what constitutes a "lobbyist." "The 'sting of the charge' is not, as defendant would have it, that plaintiffs are lobbyists. Nor does the assertion that plaintiff's goals align with the Iranian government's goals carry real bite." The "defendant's defense of truth, at this stage of the proceedings, must fail," the judgment concluded at another point. "The Court concludes that defendant's statements are capable of conveying a defamatory meaning... the Court cannot find that defendant's statements are incapable of conveying a defamatory meaning as a matter of law." But even the informal victory proved taxing. Parsi says he's worried that the process of discovery, in which his organization has forked over additional information to the defense, could very well provide fodder for critics to continue launching misleading attacks. He added that several publications have called his group with questions that leapfrog off of Daoileslam's charges. "I'm not so much concerned about how this will play in Washington," Parsi said. "I just know most people when they look at the facts, will think that this is complete nonsense. I'm more concerned about our own community... If they see something printed in a newspaper they might think that it has credibility. A lot of people in town will know this is not real journalism but outside the beltway they won't make that distinction." While NIAC finds itself in the throes of litigation in an effort to defend its reputation, a far more public campaign has been waged against what some consider its counterpoint on the Jewish side of the Arab-Israel equation. J Street, a one-and-half year old non-profit that promotes ending the Arab-Israeli conflict through diplomatic means, recently saw a host of prominent speakers back out of its first annual conference over concerns about the message their attendance would send to the broader political community. In private, officials not associated with J Street say, the group was damaged by a concerted political effort by more conservative groups and individuals to marginalize its message and sully its agenda. "I think it was virtually inevitable given the dissensions that exist, certainly within the Jewish community," said Aaron David Miller, a scholar at the Woodrow Wilson Center who has served as a Middle East negotiator under Republican and Democratic Secretaries of State. "You get all kinds of push-back when you begin to challenge long-held perspectives, particularly if you are successful at it. And J Street has managed to put itself on the Washington political map in a short period of time." Like NIAC, much of the attacks on J Street have been through guilt by association. Before its conference, it was accused of hosting a speaker who considered the attacks on 9/11 to be Israel's fault -- an accusation that, while technically true, ignored the fact that the person in question, Salaam Al-Mariyati, unequivocally apologized almost immediately thereafter. Several months ago, meanwhile, The Jerusalem Post published an article noting that the group had received "tens of thousands of dollars in donations from dozens of Arab and Muslim Americans." "There have been people pushing that story for a long time before the Jerusalem Post decided to run it and other publications passed on it before," said one tuned-in Jewish policy strategist. "They do stuff like that: the guilt by association track." J Street defenders acknowledge that its opponents have had some success in damaging the group's standing. But the byproduct, they stress, has been to elevate the organization further into the mainstream foreign policy discussion. And much like NIAC, they regard the early bumps as part of the more fulfilling process of gaining a largely iconoclastic status. "I do think that groups like J Street and NIAC -- which are in what I call 'earnest advocacy' -- don't realize that they are going to go through this baptism by fire," said Clemons. "They are going to draw the resources of their competitors because these people want to try and intimidate or at least pull the foundation from underneath them." Washington, DC - On April 30, the National Iranian American Council (NIAC) filed a lawsuit against Hassan Daioleslam in response to his defamatory articles about NIAC. Daioleslam, who has been identified by former members of the terrorist-listed Mujahedin organization as a member of the group's executive committee, has since early 2007 mischaracterized NIAC's anti-war and pro-diplomacy activities as serving the interest of the Iranian government. His writings have mostly appeared on right-wing blogs and in neo-conservative outlets.